Industrious undergraduates at Tech have founded more than a few student-run campus publications, giving members a first exposure to real-world writing, editing and publishing. 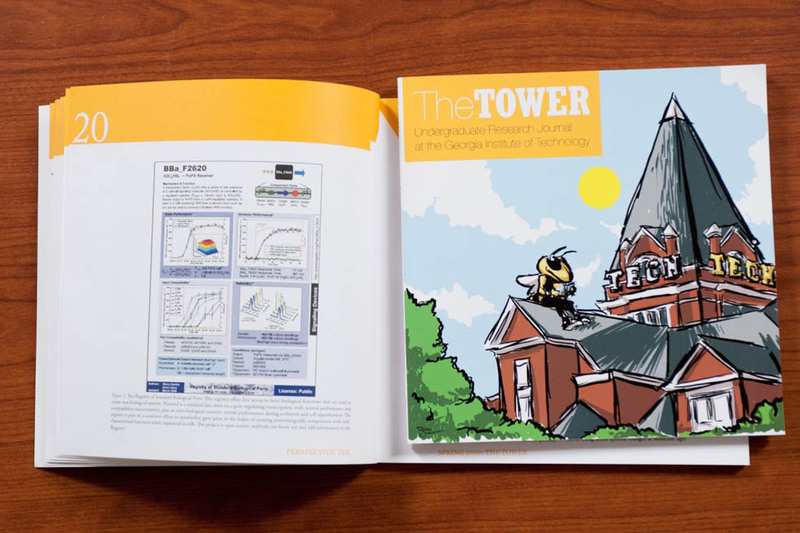 Over the course of the past summer, The Tower, Tech’s undergraduate research journal, was accepted into the collection of the Library of Congress. Each new edition will be made available to carded visitors of the Library. Founded in 2008 and producing a print edition each year, The Tower accepts submissions from undergraduates pursuing a line of inquiry in any field at Tech, from Neuroengineering to Public Policy. A leaf through the most recent print edition of The Tower, emblazoned with an MRI cross-section of a person’s skull, reveals a variety of content. There are the obligatory original undergraduate research articles that The Tower showcases, research overviews intended for a more general audience and a trio of interviews with members of the campus community. The research articles are published in full glory, containing all of the detail necessary to reproduce experiments and the analysis of results that would be expected in a standard scientific journal. The Tower’s other articles, on the other hand, provide a convenient bridge for Tech students to start stretching their class knowledge to try to understand the innovations our school has contributed that have made it a top public research university. One of the hallmarks of scientific publishing that The Tower exposes undergraduates to is the process of scientific scrutiny via peer review. To ensure that published research is of a high quality, research journals subject submitted manuscripts to a process of vetting by a small group of topical experts. This team of reviewers critiques the content of the manuscript, on the quality of writing and aesthetics of the figures, as well as on the experimental design and interpretation of results. This commentary is sent back to the submitting authors, who then have a certain period of time with which to make modifications. At The Tower, once manuscripts submitted by undergraduates pass a preliminary screen, they are reviewed by members of The Tower’s editorial board, sometimes aided in technical expertise by graduate student and faculty reviewers. The Tower is also available online at gttower.org.